We are thankful to our Heavenly Father and Lord Jesus for being in the midst of our hearts and experiences as our Valiant Warriors. And we are so grateful for the privilege that we can be Valiant Warriors with God and Christ, able to endure hardness – undergo hardship as a soldier of Christ. 2 Tim 2.3 Verse 4 paraphrased: No one who serves in the military entwines himself with transactions and focuses on being busy with this life, in order that they may please the one who enlisted him as a warrior: We are enlisted with the purpose of being victorious and Valiant in the warfare, which certainly demands this ‘un-entwined-focus’! 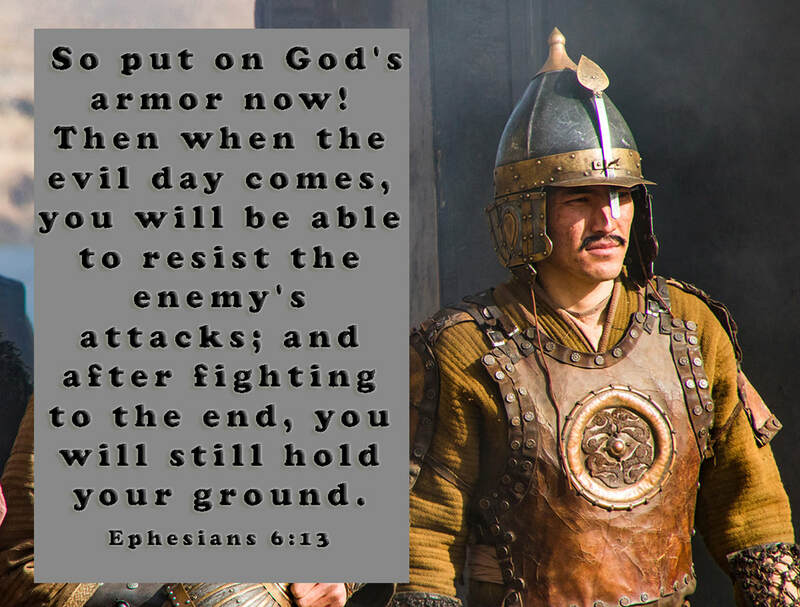 *I will put on the girdle of truth: the armor girdle kept flowing garments in place, it supported the body and kept all parts of the armor in place. I will live the mindset and conviction of rescue and deliverance which protects our thinking and life. I will remember with gratitude that You, Heavenly Father always lead us to triumph in Christ. 2 Corinthians 2:14 I will remember to expect YOUR victory in YOUR time and way. *I will put on the sandals of peace: I will have the mindset to walk forward on rough terrain of life because of the Gospel of Peace and Blessing for all is my cause. This view of Blessing makes me prepared and ready for the rough ground in our walk—we are cushioned by the conviction and inspiration of Highest Blessing for the followers of Christ, for Israel and for our whole human family. I will remember this cause of Blessing-for-all especially when the road gets rough.